This year marks our 4th annual JEP/Nageela Real Estate Networking (REN) event, “Building a Bridge from Generation to Generation” this Tuesday night, February 5. For over 30 years, we have been in the business of building children up through kiruv. From the year-round JIL (Jewish Individualized Learning) one-on-one kids’ mentorship to weekend Shabbatons which allow kids to have a true Jewish Shabbos experience, JEP/Nageela builds Jewish pride in our children. Camp Nageela, JEP’s sleepaway camp, gives hundreds of Jewish kids a chance to live, learn, and have fun in a wholesome Jewish environment where they connect with other Jews from different backgrounds. These bonds and friendships make a huge impact and change lives for the better. Real-estate professionals know all about building and developing physical spaces. Next week we will join around 300 attendees in the industry to build the organization in our biggest fundraiser of the year. Participants will enjoy the best of kosher food from Catering by Michael Schick and wine, and a ton of fun at the trending new location 26 Bridge in Brooklyn. The event is sponsored by over 22 companies including: Meridian, Riverside, BK Venues, Ramer & Saperstein, Chutes Plus, Catering by Michael Schick, DH Property Holdings, Berdon, DJ Associates, The Battery Group, Billet, Feit & Preis, PC, Mark Sklar & Olive Hill, Westwood, Ariel, Fire & Building Code Services, Area 53 Laser Tag, Harborview, Artimus, Lionstone Capital, The Berkshire Bank, Simkowitz Co., and B-Tank. There will be valet parking available for guests as sponsored by Mark Friedman. For the first time, we’ll also be featuring a panel of leaders in real estate as presented by the Riverside Experience including Ralph Zucker of Somerset Development and Phil Rosen of Weil, Gotshal & Manges LLP. 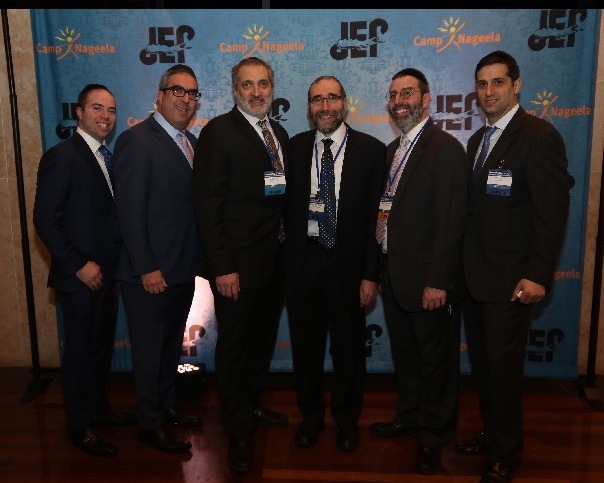 Thanks to our generous sponsors, board members, JEP REN event chairs, Sam Berry, Meyer Mintz, Shmaryahu Ryback, and committee for making this our best JEP REN yet! Come build with us and RSVP at JEPREN.org or call 516-374-1528, ext. 240.